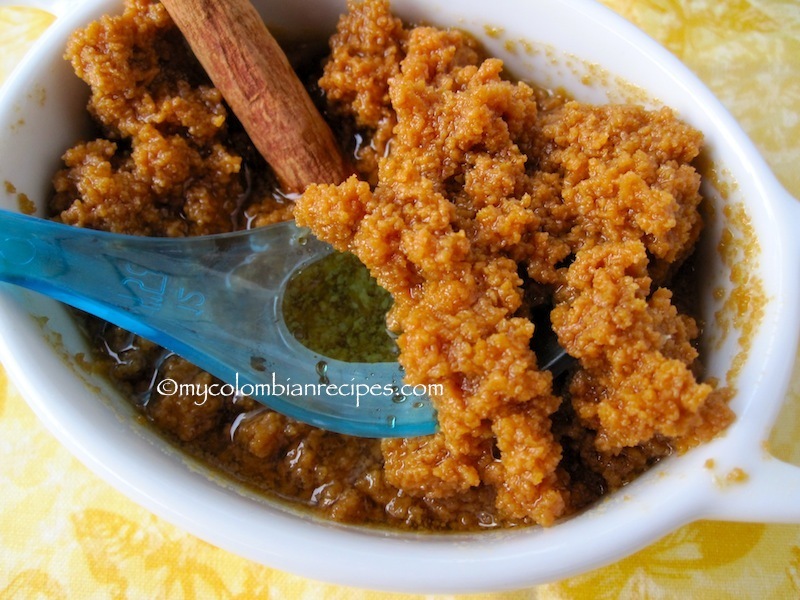 Dulce de Leche Cortada also known as Miguelucho is a Colombian dessert that consists of curdled milk, cooked with panela, a hard brown cane sugar, and cinnamon sticks. 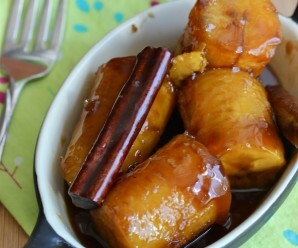 There are variations of this dessert throughout South and Central America. 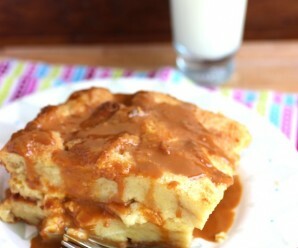 This Dulce de Leche Cortada is mostly cooked in Colombian homes. 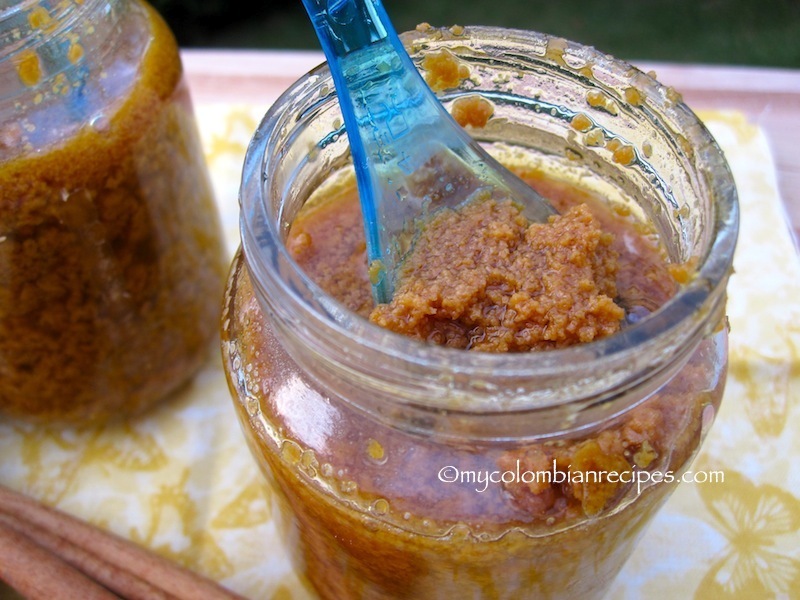 The traditional way to make Miguelucho or Dulce de Leche Cortada is with old milk that is already curdled. In this recipe I used lime juice to curd the milk. 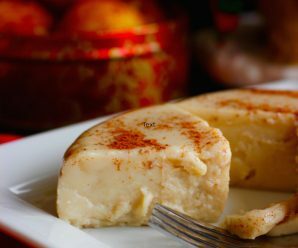 The texture of the finished dessert should be like caramelized cottage cheese. Bring the milk to a boil in a pot over medium heat, stirring occasionally. Add lime juice, then reduce heat to low and simmer, stirring constantly, until the mixture curdles, about 2 minutes. Add the panela and cinnamon sticks and simmer over low heat with the pot uncovered for about one hour, stirring often with a wooden spoon. such an interesting dish! sounds delicious! That is different, but looks so good. I’d love to try it! A eso le llamamos migulecho!!! Me encanta!!! 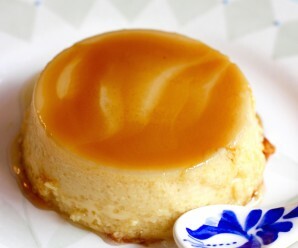 Kimberly, Gracias por el otro nombre muy interesante, en que parte le llaman Miguelucho?Mi abuelita siempre lo llamo Dulce de Leche cortada. Dear Erica, I have been reading your blog for a few months now. I really enjoy hearing about traditional Colombian foods. I visited Colombia quite often in the late 70’s early 80’s so your blog brings back memories and also shows me what I missed. This is my first comment. I find this recipe very interesting and I bet it’s fantastic! I intend to try it. I am an alternative medicine practitioner. As a part of my practice I am a traditional foods advocate and educator. 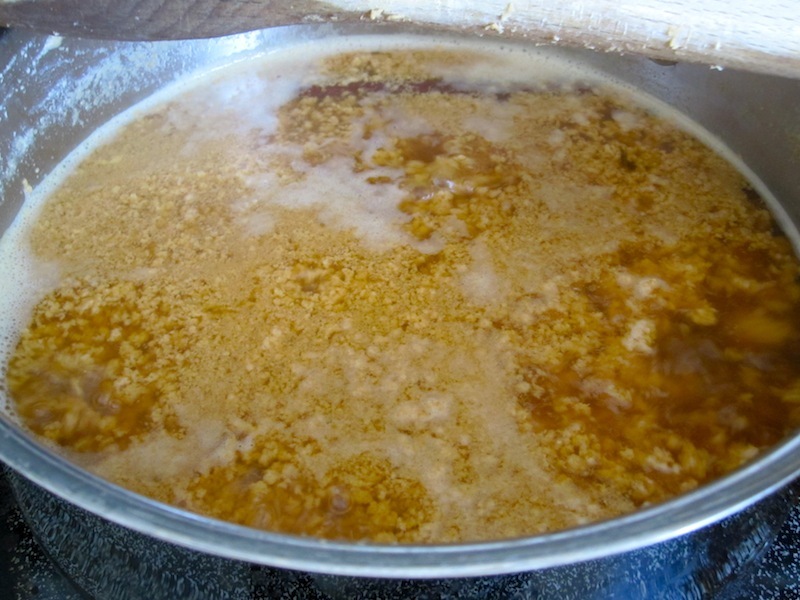 So I noticed that you say “The traditional way to make Dulce de Leche Cortada is with old milk that is already curdled.” Many cultures have traditional recipes specifically designed to use up milk that’s a bit older and beginning to curdle, but nowadays few people understand exactly what that means. So I wanted to point out that, traditionally, this recipe would probably have been made with raw, unpasteurized milk that has begun to curdle. When that happens with raw, unpasteurized milk, the cause is naturally occurring bacteria—bacteria and enzymes that came with the milk when it was fresh from the cow or goat; bacteria beneficial to humans, NOT bad bacteria that might make someone ill. The pasteurization process kills ALL bacteria, both beneficial and pathogenic (bad), but pasteurized milk is still a perfect growth medium for bacteria of all sorts. So pasteurized milk can and does go bad when old, and begin to curdle as a result, but when it does, it’s from contamination by ambient bacteria (just from the air and other environment.) That ambient bacteria is usually the kind that can make someone ill when there’s a lot of them, as happens when pasteurized milk goes bad… essentially old pasteurized milk rots like old, bad, meat. Whereas old, curdled, RAW milk, is just milk that’s soured and curdled like sour cream, and crème fraiche, and other such soured dairy products that humans have traditionally used for thousands of years… those products are beneficial. Consequently, I thought I should point out that when this recipe is made with modern pasteurized milk (which is all that is available to most people in the USA), it should use only new, fresh, pasteurized milk as you do in your recipe, curdled with acid; you use lime juice, but lemon juice and vinegar should work just as well (but would taste a bit different.) This recipe should not be made with old pasteurized milk that has gone bad or curdled as old, pasteurized milk is not healthful… it’s rotten and beyond saving, just like old bad meat. If you have old, curdled, unpasteurized (raw) milk, then that should be just fine to use; perfect, in fact, as this recipe was made specifically to use up old raw milk. Thanks for the many wonderful Colombian recipes you have shared with me and for the memories that you have evoked. I look forward to hearing more about the Colombian culture and about your family specifically. Christina, Thank you so much for your wonderful and helpful comment! 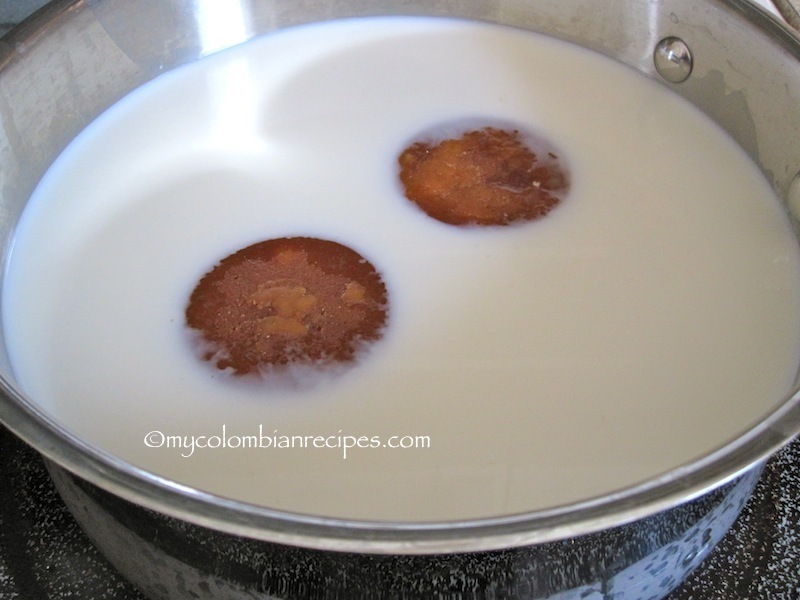 You are right…..In Colombia this dessert is made with un-pasteurized or raw milk. That is the reason I adapted the recipe for my USA readers. 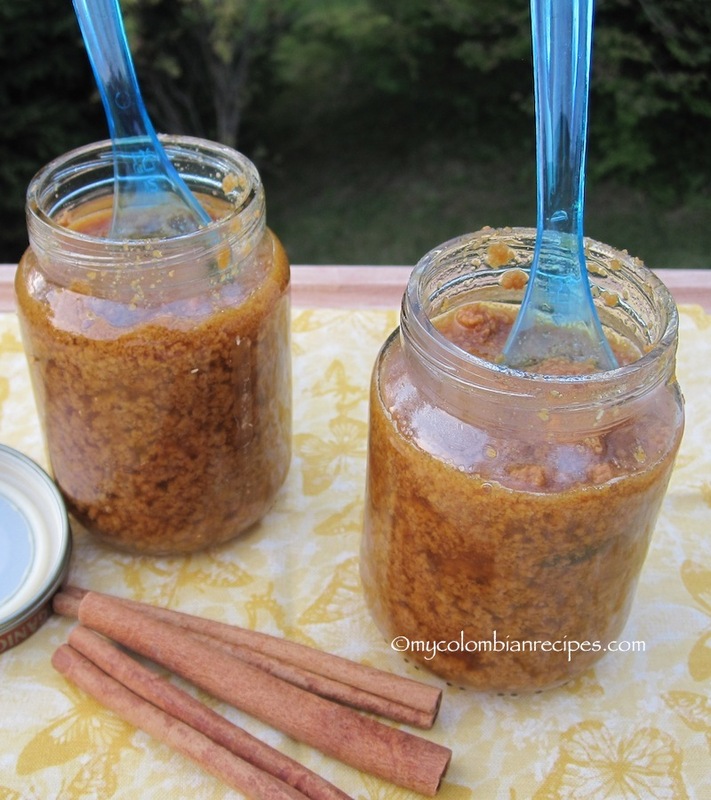 Love this natural sweet dessert – love love love it. Love sweet milk. I love dulce de leche! I’ve never heard of this version though…sounds delicious! Very interesting dessert Erica, would love to give this a try too! Looks like something that I would enjoy very much! this is so unique and DELICIOUS! 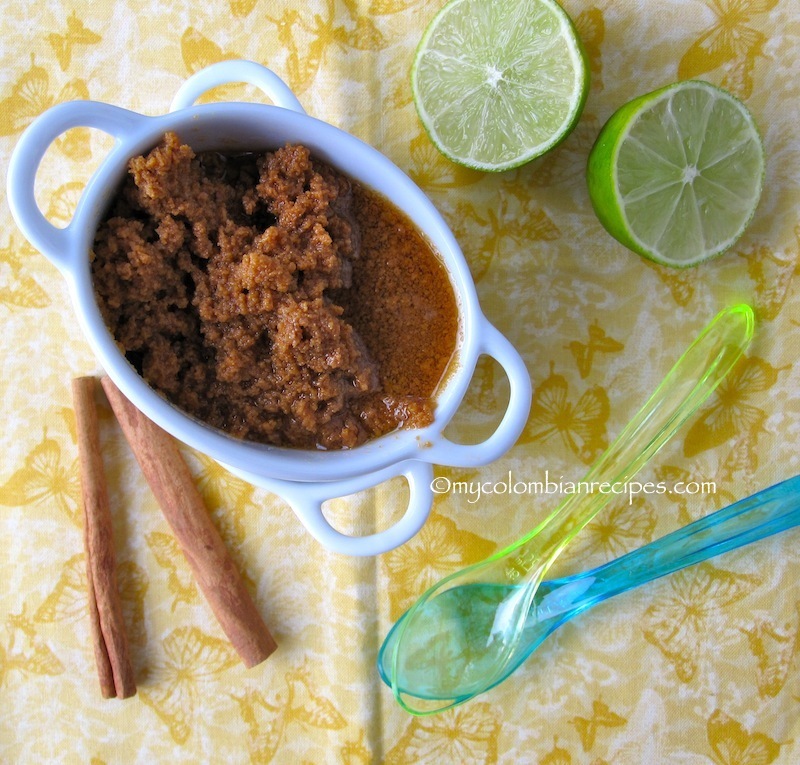 I made it last night, but used brown sugar instead and it was very good! Love the texture.In Bogotá we called it Mielmesabe.